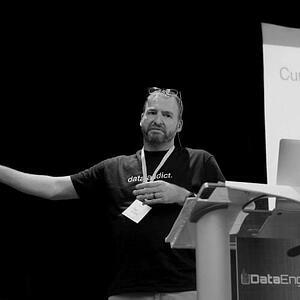 In this talk, we'll take a look at both log-linear and cumulative histograms and how they provide advantages over storing data as quantiles, averages, and other histogram implementations such as linear and fixed-bucket. An open source histogram software library will be explained, and sample statistical operations using it will be shown. You'll come away with an understanding of use histograms to make your data engineering life easier. Fred Moyer is an engineer at Circonus, where he is actively involved in connecting with Circonus’s users and engineers at a technical level and developing code bridges between Circonus and external systems. Fred implemented the first external metrics adapter for the Istio service mesh to monitor Docker-based services using Circonus. He is a recovering Perl and C programmer; these days, he likes to hack in Go and is learning Lua. Fred is a 2013 White Camel award winner and Apache Software Foundation member.